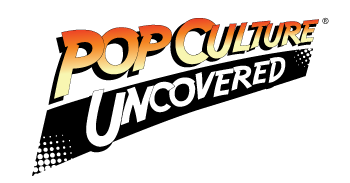 Compared to the mess that is the DC live-action adaptations, the MCU has mostly had a good run. The movies have all received positive reviews, even those few dismissed by rabid fans. Television series have mostly been positive, with some needing time to grow and one notable show that received decidedly mixed reviews. Considering this track record, one of the most recent additions to the MCU came as a shock: Marvel’s Inhumans. Initially intended to be a feature film, only to be demoted to a television series, this show proves that no one is perfect. 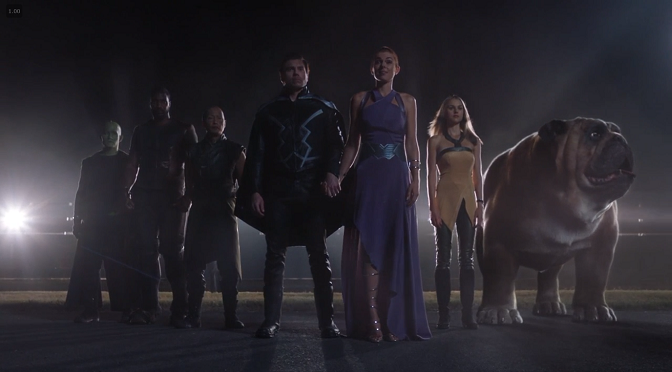 From questionable special effects and editing to horrible direction and writing, Inhumans failed on a level Marvel Entertainment had never seen. Ironically, this all could have been prevented had the production companies not committed the same error twice. That mistake is named Scott Buck, and he’s proven himself to be the Uwe Boll of television. Scott Buck already had a bad reputation prior to working with Marvel properties. His tenure with Dexter was considered the worst and the downfall of that show. Despite this, he was given the reins to Iron Fist, the fourth of the Netflix series. We all know how well that went down, with bad direction and acting plus fight scenes out of an 80’s American martial arts flick. For some unfathomable reason, Marvel and ABC gave this man control once more. The result made Iron Fist look like the first season of Daredevil. What do you mean I’m not the worst part of the MCU now? I don’t mind the changes they did to the characters; changing the powers around, messing with appearances, etc. What I can’t abide by is how these characters behaved, and that falls solidly on the writing and storyline. Let’s take Gorgon, who’s saved by some Hawai`ian surfer dudes. Next thing you know, he’s best friends with these guys, despite Inhuman prejudice on Earth and this strange guy telling stories about moon cities and outer space politics. In fact, they like this crazy super-powered guy they just met so much they go to war for him. This problem isn’t the only time the characters jump into relationships and make incomprehensible decisions. Karnak stumbles upon an illegal marijuana farm only to end up in a relationship with one of the women and caught in a crime drama. Crystal encounters a boy when he runs over her giant space dog, only to have him believe her entirely and fall in love within the same period. Even Medusa stumbles through this strange, new world, finding a scientist who’s willing to break laws for her. Not to mention how confused she is with something as simple as headphones despite coming from a Star Trek-level society with commlinks, holographic interfaces, and mutagenic chambers. The characters, how they interacted with new situations, and how they developed made no sense. Whoever approved this story wasn’t writing a show – they were creating poorly done fan-fic. A mutant from outer space, you say? Let’s have a beer and then go die for you! If you’re going to have a show about super-powered characters, you’d think their powers would be displayed appropriately. Within the first two episodes, however, Karnak’s powers are temporarily removed (and never fully return) while Medusa is stripped of her power completely. Despite her overwhelming power level, Crystal is relegated to “cool effects” while some character’s abilities are entirely rewritten. In the meantime, other characters focus almost too much on their character’s abilities, so they’re nothing more than two-dimensional superpowers. They create an entire dramatic scene out of Flora creating a path with plant control (immediately ruined by showing the cast walking through an unaltered forest); later in the series, they go on and on about Locus echolocation abilities, as if we don’t understand what’s happening. It’s almost like whoever was writing this didn’t know how to handle comic characters, balancing superpowers with the story and people. Like Iron Fist, Inhumans also fails when it comes to whoever put this mess together. Scenes and plot jump all over the place, and you can’t tell what’s going on half the time. The fighting is only marginally better than Iron Fist, probably thanks to skilled and trained actors (unlike some) and a decent choreographer. Unfortunately, the editing ruined most of these sequences, which were choppy and all over the place. Although there were multiple writers, editors, actors, etc. on the show, there was one thing each episode had in common: Scott Buck. Despite some skill at writing, he’s proven to have no concept of how to run a show. He edits like he’s still in film school, his storytelling and character behavior are more ridiculous than a Stephanie Meyer novel, and his direction makes George Lucas look like Martin Scorsese. Why did Inhumans fail? I’d guess because someone at Disney and Marvel Entertainment was stupid enough to give Scott Buck another chance. Please don’t give him a third. When the best part of the show is the guy who can’t talk and the CGI dog? You’ve messed up.